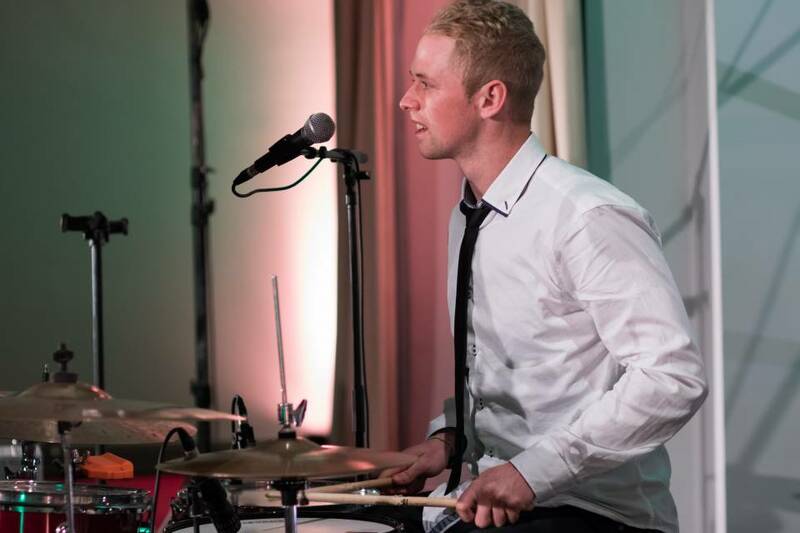 Jamie & The Gents are a covers trio based in Wellington. The band offers a truly unforgettable night of entertainment, featuring a diverse range of songs from artists such as Elvis, Daft Punk, Justin Timberlake, The Exponents, Katy Perry and Taylor Swift, to name but a few. Jamie and the Gents are incredibly passionate about what they do, and have quickly established themselves as one of Wellington’s hottest covers acts. They play the songs that everyone loves - non-stop hits all night. They read the vibe of the room and keep the dance floor full. They are professional and reliable, keeping things simple for you. "J&TG added such class and fun to my 1920's themed 21st, getting into the theme and playing a variety of songs that had everyone - young and old - on their feet! Such a talented, slick and entertaining three-piece - people still tell me that Jamie and the Gents are the best covers band they've heard!" "I love the energy that Jamie and the Gents bring. Their range of songs is guaranteed to make any party a hit." "Jamie and the gents created such an awesome atmosphere! Nobody in the room wasn't dancing (unless they were eating cake). People raved to me for weeks after about how awesome they were. They made my 21st a night to remember!" "Would just like to say a huge thank you to you and the band. We had an amazing function and was made all the better with the great performance from Jamie and the Gents, they were very professional and courteous of all our requests, I highly recommend them! We look forward to working with you again in the future."